Well it’s October again and that means it’s time to break out the horror games. Last year I capped it off with Silent Hill 2, but I didn’t get very far before the electricity went out. So this year I decided to pick up where I left off and start the month with Silent Hill 2. I realized that this is my first Silent Hill game ever and it would be fresh experience to me. Not only that, but Silent Hill 2 came out twelve years ago. I joke a lot about how fast video games seem to move in comparison to other mediums and that a six months is more like a decade in video game time. But there is some truth to that. Video games, even great video games, can be forgotten in a week let alone a year. 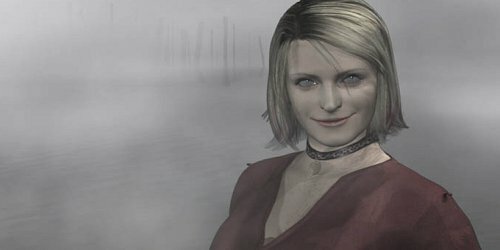 Silent Hill 2 has somehow managed to maintain itself in conscious eye of the community as a great game. To be fair it’s title as best horror game ever wasn’t really challenged until recently with the recent renaissance of new titles from the indie sphere. But still in hangs on. One worry is that a game could be coasting on reputation alone or even worse that the reputation could over inflate a game in eyes of new players. These are all questions I’m going to tackle at some point. Instead I wanted to focus on another related aspect: it’s age. Silent Hill 2 aged remarkably well despite on the surface not to at all. It’s old and clunky in so many places, but I argue that clunkiness in both looks and behavior are what grant the game its lasting qualities. Silent Hill 2 works so well because its aged poorly. It brings into focus what was always there through contrast of modern standards. Glad my editor saw it in time and posted it for today. Also happy he went with my suggestion of header image. I really wanted to make sure readers understood what I meant exactly by Maria’s smile. I’ve started horror month off with a bang, hope you’ll read it.